Payment to be made via Bank Transfer or Paypal Friends & Family only. Balance is due 6 weeks before check in date. Cancellations are non refundable but dates may be changed. - Final balace date will be on your booking information, if payment is not made by the date given you may loose your booking. 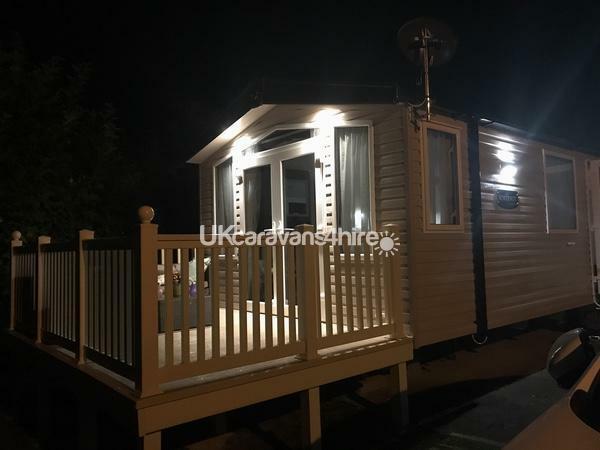 - The caravan and decking area are non smoking. Cigarette ends are to be disposed of safely and correctly, not left on the floor and not in the caravan bin. Any one found to be smoking inside the caravan or on any of the decking areas will be asked to leave immediately. Any cigarette ends found in or around the caravan will also result in a £50 fee. - We ask you treat the caravan with respect as if your would your own property. 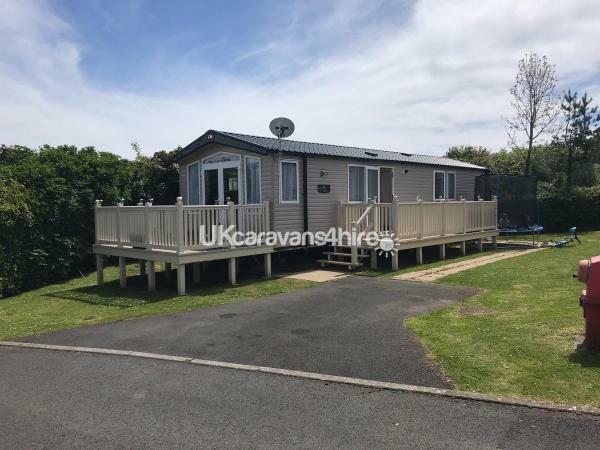 - Any loss to items inside/outside the caravan or damage to the caravan itself, decking areas or patio area you will be billed for this. - We ask no shoe are worn on the carpet areas in the caravan. 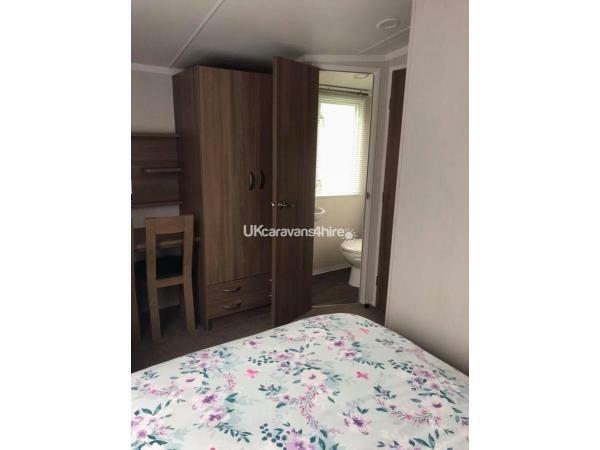 - This is a not a pet friendly caravan. - Any outside cushions are not to be left outside during the nights, or in bad weather. -The trampoline is to be treated with care. Any children using it are to be supervised at all times. Do not exceed the maximum amount of children allowed on at once time. We are not liable for any injuries while using the trampoline. - We require a credit or debit card information to be held until caravan checks have been completed and everything is in order. The caravan is sited on Penally Court Kiln Park. Just a 5 minute walk to Kiln Parks main site. With also a free taxi service to and from the main site. Full access to all of Kiln Parks facilities. Park passes are to be bought direct from Kiln Park. 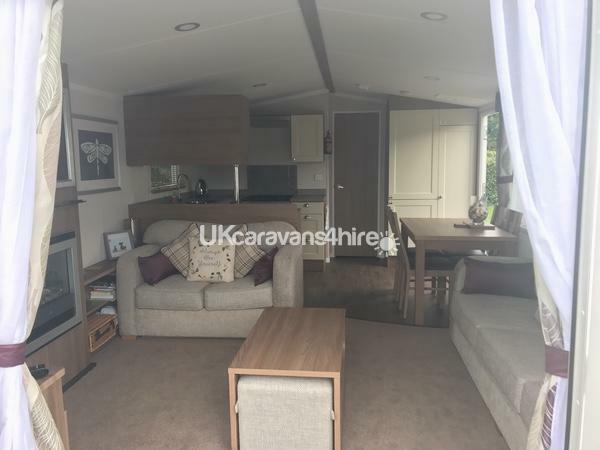 The caravan has a open plan living area with two sofas, one being a sofa bed. A 42” smart TV with cables to take your own SKY Q box. French doors that open on to a decking area with a table and chairs to enjoy the sun. There is a fully equipped kitchen with everything you will need. 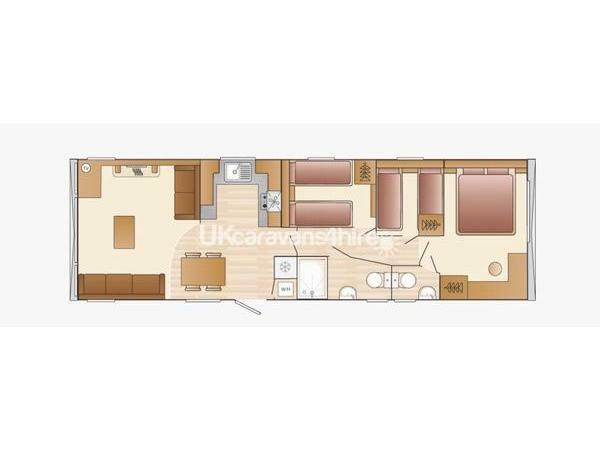 Has a full sized gas cooker and fridge freezer with a dining table to accommodate 8 guests. There are 3 bedrooms. The master bedroom has a double bed with a large wardrobe, storage cupboards, dressing table and en-suit toilet. 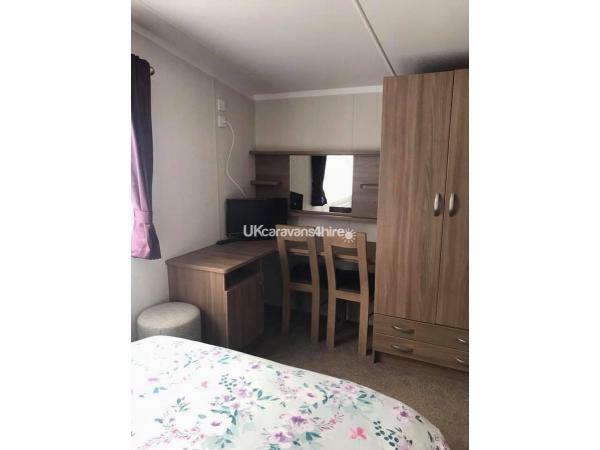 There are two twin bedrooms, one that is able to be turned in to another double bed that both have wardrobes and storage units & a pull out double sofa bed in the living area. Quilts & pillows are provided but own linen and towels are required. The bathroom has a large power shower, toilet and sink. 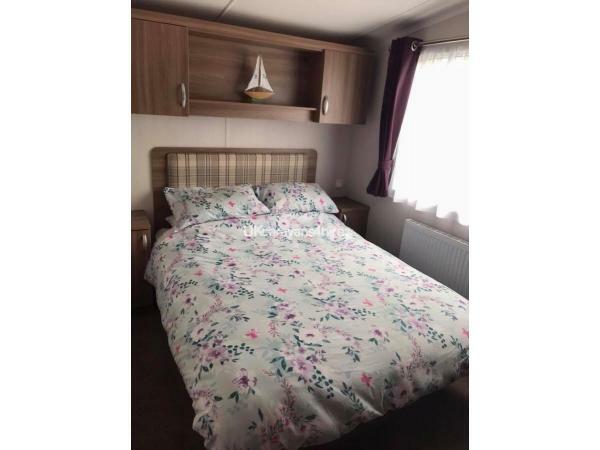 The whole of the caravan is double glazed and is centrally heated. 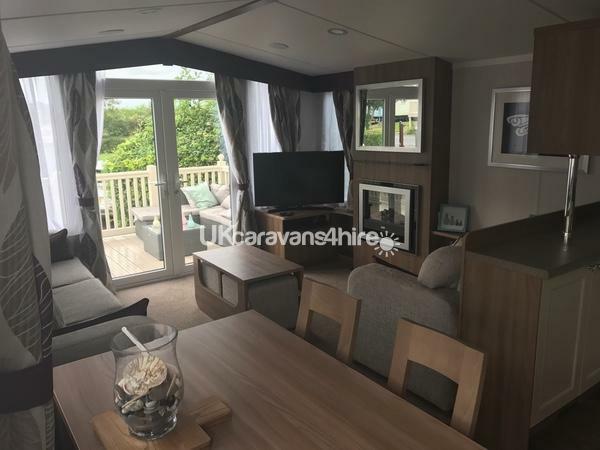 There is a large additional decking area to the side of the caravan that has a sofa. Also a patio area and a larger than normal grass space. The caravan is near to Penally Train station. Is a lovely 5 minute walk on to South Beach, where you are then able to walk in to Tenby town. Check in is from 3pm and check out no later than 10:30am. Check in days are a Monday or Friday. This is our own family caravan and not a business. We hope that gusts enjoy our caravan as much as we do and treat it with respect. 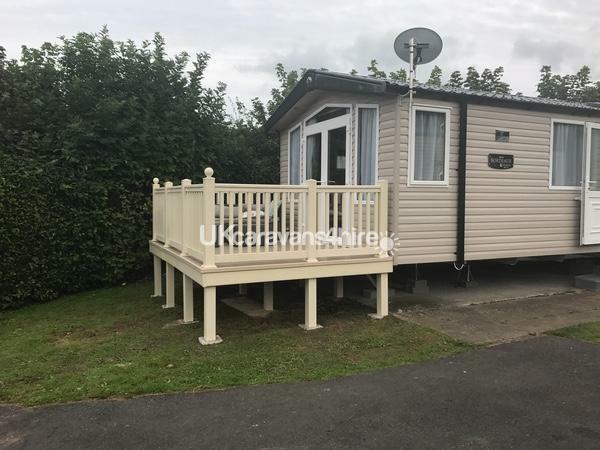 This caravan is rated as a '8 birth Caravan: Prestige with Decking' by Kiln Park. Additional Info: Kiln park have a range of facilities. 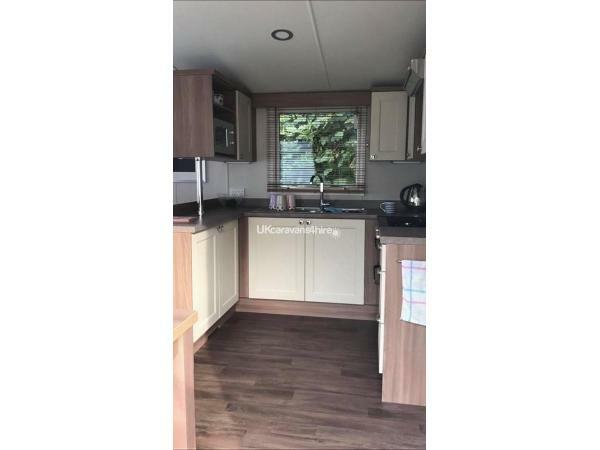 Stunning caravan in a quiet location. It was safe for our children to play out the front, with out us having to worry about cars. 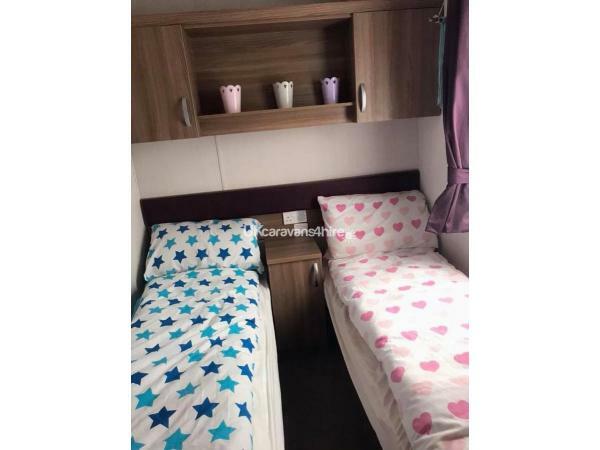 Caravan was very clean and tidy. Could see it is well looked after. Lovely kitchen that I was able to cook in. Living area was very homely, didn't feel like we were in a caravan. Beds very comfy and clean. We will be recommending to our friends and hopefully booking again soon.